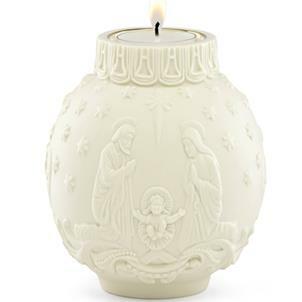 Satin finish ornament shaped votive features a nativity scene in carved relief. The votive is accented in 24 karat gold and includes a tealight. Porcelain; accented in 24 karat gold. Measures: 3.25"
Cast a beautiful glow in your home this holiday season with this Ornamental Glow Votive. 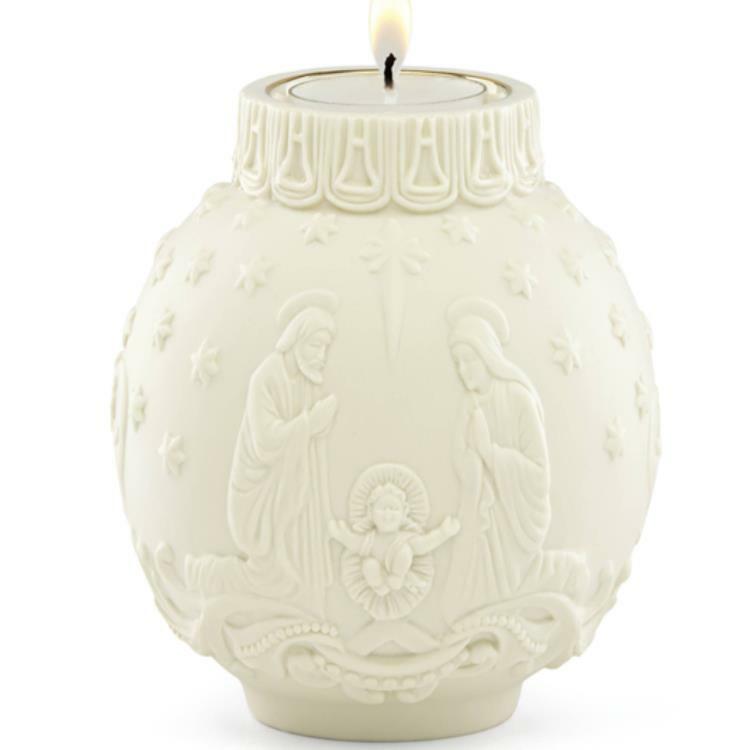 This satin finish ornament shaped votive features a nativity scene in carved relief. The votive is accented in 24 karat gold and includes a tealight. Porcelain; accented in 24 karat gold. Measures: 3.25"